Delightful, gulf front 1 bedroom with bunk room containing 972 square feet. Living room and both bedrooms have TV and DVD. 4301 Beachside II is a delightful 1 bedroom + bunk room/1 bath unit on the 10th floor with wonderful direct views of the Gulf. The living area is very inviting and kitchen area is well equipped. The master has a king bed and the bunk room is a kid’s area with bunk beds.. Everyone who stays here, loves it - and the kids love having their own bunk room with tv/dvd! The building has direct access to the beach along with its own pool. We had a great family spring break vacation! This unit was perfect for our family of four. Super convenient, tidy and well-kept. We had everything we needed. The check-in/check-our experience was super easy! Decent stay after the hurricane. My only complaint is related to the beds. Mattress very old and hard. Bedding was thin and old. Not a good place for rest. There have been no complaints about the mattress. Perhaps it is individual choice. Spreads have been replaced and we hope you can return. We are so thankful we had no hurricane issues here. Nice place for a couple and one or two small children. I went with only my wife and it was comfortable and cozy. It isn’t the newest unit/building in the area but it was nice enough and everything worked well. Great balcony and view. Manager was nice and helpful. This condo was lovely and just as described. It had everything we needed and the view was amazing!!! Bette was wonderful to work with. Thanks so much. We will be back. Everything about our experience with the condo was outstanding. The condo was great and you can't beat the location. The management company was very responsive and helped us with whatever we needed. I would definitely recommend to anyone looking for a beach vacation! Bring daughter back for second beach trip. We are thrilled that she had her first great experience at the awesome Sandestin beach, Destin beaches rated #1 in the country by the way. Before and throughout our stay Bette was incredibly helpful. The condo was a great size for us and our two kids under 10. The bunk room was a hit with them and we appreciated the beach chairs and umbrella provided. The balcony was our favorite part! Such great views. The unit was clean and enough room for my husband, two teenage boys and myself. The location was fabulous with the view of the ocean and the amenities of the Sandestin Resort. The pool was also very nice and not overcrowded. It would be nice if there was easier access to the Café next door from the pool area. The facility and beach was very pleasant & relaxing. We spent majority of our time on the condo deck or the beach. We used the outdoor grilling while purchasing from the locally owned seafood markets. Beach chairs & boogie boards included with condo was very convenient. Ms. Betty was very helpful & informative for activities for the surrounding area. We loved having the golf courses 10 minutes from our condo. We will return for future family vacations. We loved being so close to the water with such a beautiful view of the sunset. The condo is very comfortable and feels like a home away from home. Sandestin is a wonderful resort. It’s well maintained and very clean. We took advantage of the snowbird golf package through the resort. If you love golf, be sure to check it out. From the booking, to the arrival, everything was so easy. The staff were professional and courteous. We encountered a slight issue with the secirity code but it was fixed immediately. The condo is spacious, well decorated and the view is amazing!!! We just returned from our week at 4301 Beachside II. Bette was a pleasure to work with and made the rental process very easy. Overall, we found this unit to be clean and comfortable. New carpet in the bedrooms was a plus. The furniture in the master is older and the dresser drawers could use some attention. The mattress was comfortable with the exception of the waterproof mattress cover. While I can certainly understand the thought process here, it made for a less than ideal sleeping situation. The living room couch and loveseat appear to be newer and were comfortable however the decor was minimal. An area rug would really add to the overall comfort of the space. The kitchen was well equipped with what we needed to cook breakfast every morning. Plenty of towels were provided in the bathroom. The view was outstanding and offered breathtaking sunsets. The weather was perfect and we spent many hours on the balcony. The new high top table/chairs and lounger were amazing! The beach is just a short elevator ride away. The beach chairs provided were a great bonus however, the umbrella appears to be broken. We took it down to the beach the first day but could not get it to stay upright. Fortunately, we didn't really need it this time of year. This is an older building and this unit reflects that. So, if you are looking for luxury and upgraded, high end finishes, you won't find it here. However, we feel the price we paid is more than fair for this unit and we would most definitely rent it again in the future. The reason for no area rug is to avoid having an accident waiting to happen. The fact that you'd come back for your vacation tells it all, it is a great unit. This was the second year staying in this particular condo. We absolutely love it! Its the perfect size has everything you need and very clean with gorgeous views of the Gulf. Working with Bette has always been great. She is helpful and goes out of her way to make our experience a good one. Thank you on behalf of the owner, Destin Memories and myself. We want you to have a great experience when you come. It is called VACATION. Very clean, warm condo. We enjoyed our stay from day one until we left. 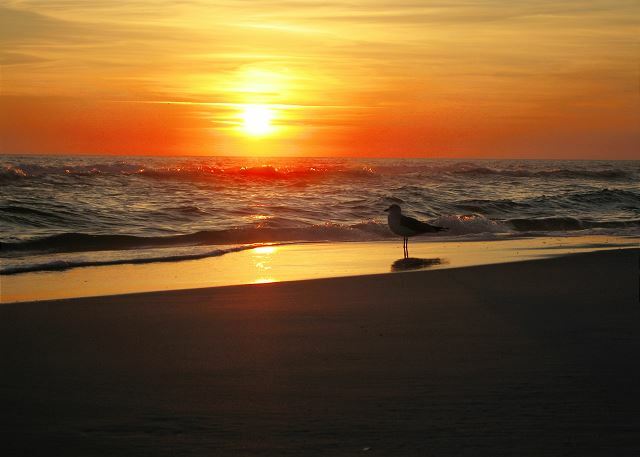 Great location and with the tram included you'll have lots of options throughout Sandestin. Pool was smaller with no designated baby/toddler area but our 2/4 year olds still enjoyed it and the beach was just steps away! Overall we enjoyed our stay. The view was incredible and unit was pretty nice! It was clean. Property manager was great to work with. However there were a few hiccups along the way. The first was the undisclosed $110 'marketing fee' charged by HomeAway for booking on their site. Apparently this can be avoided by booking via property managers site. Lastly, there was an issue with the unit smelling like cigarette smoke before we arrived. The property manager was very professional and called us up front to give us option to stay in another unit (albeit smaller with no view, but that's what she had avail) or she could remedy the situation before arriving. She was able to remove 99.9% of smoke smell by time we arrived which eventually dissipated. I appreciate her effort to get the unit ready, but renters need to know this could be a potential issue for them, especially those sensitive to smoke. As a perfectionist, there were some minor repairs and tidying up of the unit I'd recommend to the owner to REALLY make it nice, but overall it was a nice place for my wife and kids to enjoy the beach. Wonderful for my family of 4 with 2 young children. I have rented the same property 2 years in a row and Ive had a great experience. Bette has been amazing to work with and made the rental process very easy. I had a question once I got to the property and Jaime helped me out immediately. Just a great overall experience. Come back often. We believe great service is as important as a great unit. We really enjoyed our stay! Everything was wonderful! No complaints! It was definitely a home away from home. Very nice condo. Perfect beach view from the window/balcony. We enjoyed our stay very much and will definitely rent from this owner again. We look forward to your return to this awesome, well cared for vacation home. Great location for your perfect vacation! The condo was very clean and overall just perfect! We are so pleased you enjoyed your stay, the unit with its great views, as well as your satisfaction with Destin Memories. Come back often. Spent 5 weeks this time. We have been to Beachside II 8 times, staying in different condos. On 10th floor you hear no beach noise and have an incredible view. Come back often. We are so thankful you enjoyed your stay. We love this property. The view is great. Condo is very nicely decorated. The resort is amazing & was decorated for Christmas while we were there, & there were many Christmas events at Baytowne Wharf. We will definitely be back again for the holidays. The only thing of note is that the bunk beds are smaller than twin size. They are not large enough for an adult. But are perfect for smaller children. The room is in great condition, but could use a deep cleaning on the walls, cabinets & base boards. We appreciate your input and we will definitely be doing a deep clean. We have been vacationing at the Sandestin Golf & Beach resort for about 15 years, several of those years have been through Destin Memories, LLC., in particular through Bette. I do not have enough words to describe how helpful she has been each and every time we have booked our stay through Destin Memories. This year was the first year we have stayed at 4301, we absolutely LOVED the condo. It was clean, spacious and has breathtaking views. We are already looking to plan another visit! I would absolutely recommend this condo and Destin Memories to friends. We had a great stay at this condo. It was clean when we got there and the photographs truly give you an accurate idea of what you are staying in. The only problem I would say is that the bedroom is incredibly dark because there is not an overhead light. Everything was just as we expected and we would absolutely come back! Our family had a great time staying at this condo. The kids bunk room is great! We are so glad you enjoyed your stay and that the kids could enjoy those bunks! Come back often. Great unit location in the complex with easy parking. Wonderful views from the balcony! The only recommendations I would have to give are: pantry space is needed for groceries (we moved somethings around in the cabinets to make room for groceries), the bunk room gets a little hot (but the provided box fan helped a lot) and some storage containers for left overs would be helpful. The condo is in great condition and wonderfully decorated. All of the mattresses were very comfortable! Our spring break was fantastic! The condo was perfect for our family of four. Newly updated, our kids loved the cute bunk bed room, and my husband and I loved our balcony view of the gorgeous ocean! Nothing better than staying right on the beach, with everything you need just footsteps away! One morning we viewed pods of dolphins from our balcony, while sipping coffee. Easy getting ready for the days at the beach and we would highly recommend this condo to families with small children or no kiddos at all!